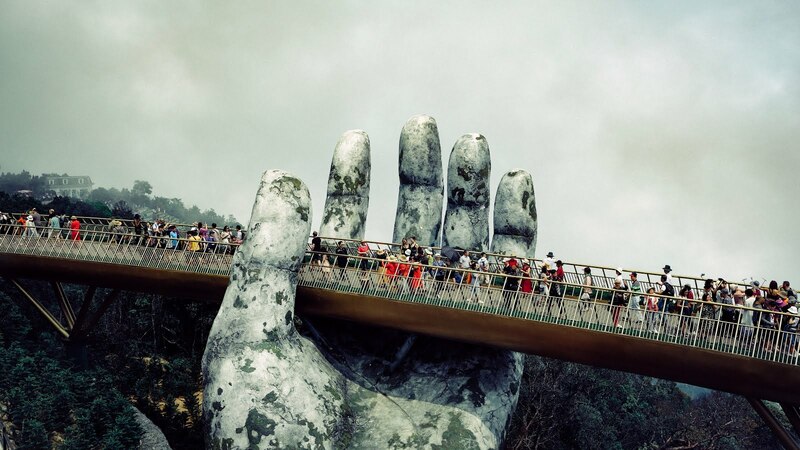 I have mixed feelings as to how I should describe the Golden Bridge. It has been a viral phenomenon on social and traditional media for the last six months. The spectacular drone footage hooked us in to taking a day trip to the Ba Na Hills. Yet I'm tempted to run the headline 'Some Things Actually Don't Look Better In The Flesh'. But that would possibly be unfair. Maybe I should go with 'Some Things Really Need Good Weather To Be Appreciated'. We didn't get good weather. It wasn't bad - it was dry. But there was just a wee bit of cloud cover.And by 'wee', I mean thick, all enveloping cloud cover. We arrived at the Golden Bridge, more than 3,000 up in the mountains, at about 9am. Along with a lot of other people. Including a surprising number of couples dressed up in their wedding day finery. 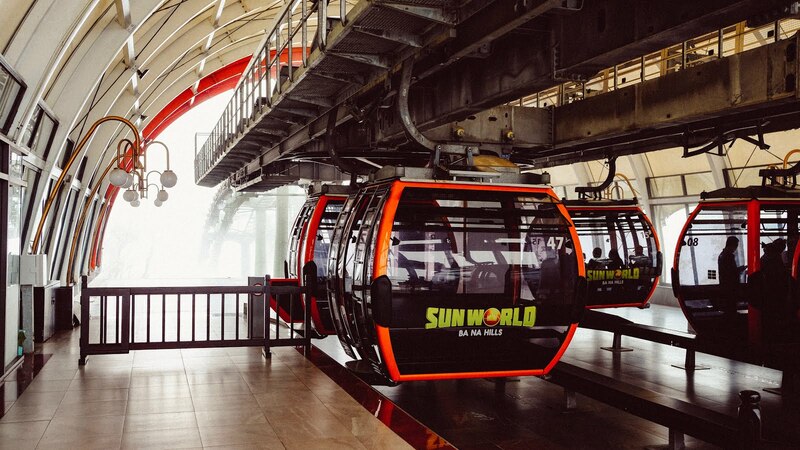 Ideally, one would arrive in time for the first cable car up which departs at 7am. But that would have meant catching a taxi from Hoi An at 5am. The very idea of waking up that early when on holiday was utterly preposterous, so we sacrificed a few moments of solitude on the Golden Bridge for an hour extra in bed. 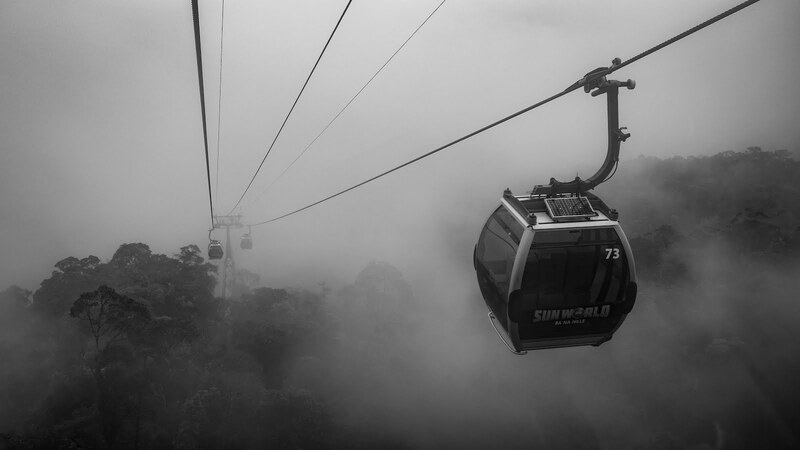 The cable car is, to my mind, is the number one reason for making the two hour trek up into the Ba Na Hills. I'm told it's the longest cable car ride in the world. I haven't attempted to check this, but it strikes me as a believable claim. 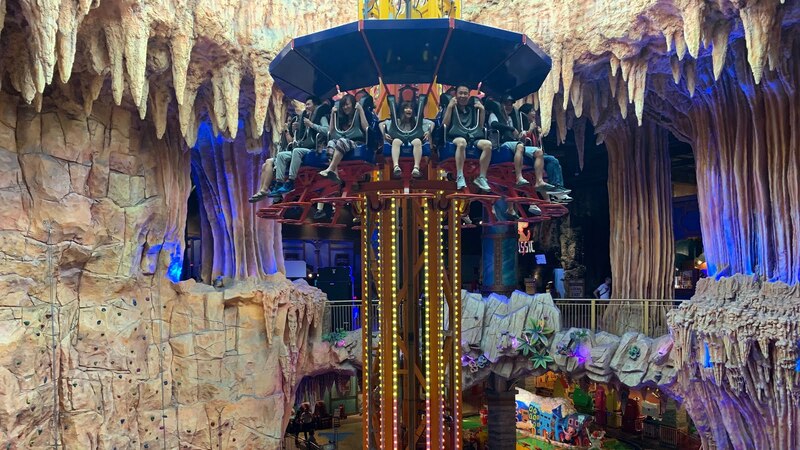 The ride takes over 25 minutes, and it's a glorious trip even in cloudy weather. 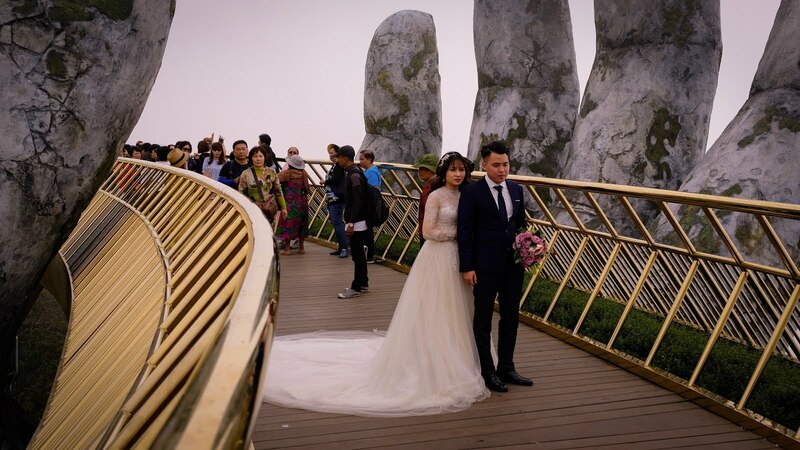 The Golden Bridge is just one of a number of attractions in Sun World, Vietnam's rather peculiar answer to Disney World. Maybe. Sort of. 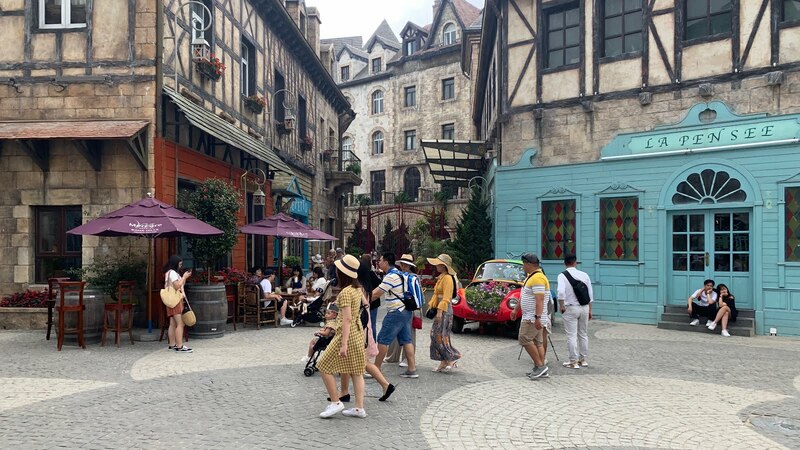 There are rides, gardens and a recreated French Village. Complete with a black London taxi cab and a Japanese pagoda. What sort of self respecting French village would be without a London taxi and a Japanese pagoda? Sun World doesn't make for a particularly cheap day out. Our taxi (Hoi An Cars again) cost a million dong, plus an extra 200,000 dong for extra waiting time - two hours on top of the three hours allowed with the standard price. Entry to the park is 700,000 dong per person, although that does include cable car, rides et al. That worked out at about £100 for the pair of us. Hardly an outrageous financial extravagance by western standards. But easily the most expensive day of our fortnight in Vietnam. Was it all worth it? 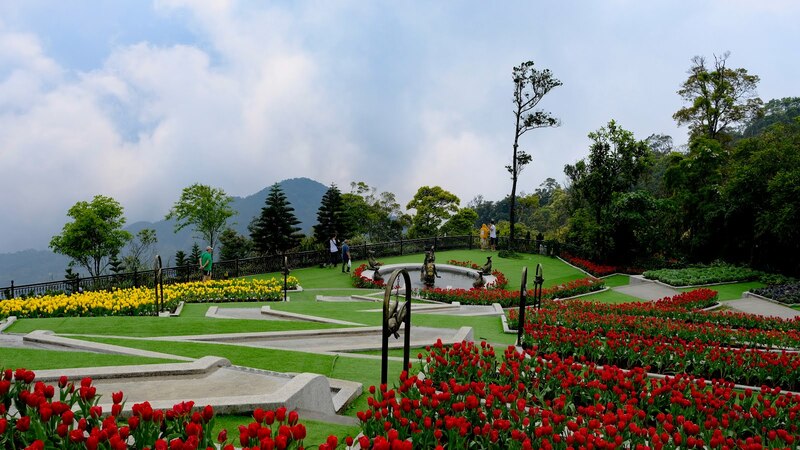 Should you go to the Ba Na Hills and enjoy all that Sun World has to offer? That's a tough question. We did have a great day, even though the clouds obstructed our view of the hills from the Golden Bridge. And we wish we'd arranged to spend longer there - five hours wasn't quite enough. But it is a long way to go and a lot of money to spend when there are so many other things to do that are closer and cheaper. I guess that, ultimately, every tourist has to answer that question themselves. If you have all the time and money in the world, then why not. If you had to choose between Sun World and the My Son Sanctuary? My Son wins, easily.